The University of Scranton’s Master in Health Administration (MHA) program is one of just 14 programs in the nation to earn CAHME Mentorship Circle status. The University of Scranton’s Master in Health Administration (MHA) program joined an elite group of programs representing just 14 colleges in the nation that have earned The Commission on Accreditation of Healthcare Management Education (CAHME) Mentorship Circle status. CAHME is an interdisciplinary group of educational, professional, clinical and other health sector organizations devoted to quality improvement of education for health care management and administration professionals. CAHME is the only organization recognized by the Council on Higher Education Accreditation to grant accreditation to individual academic programs offering a professional master’s degree in healthcare management education. In addition to achieving the high standards of CAHME accreditation, the CAHME Mentorship Circle designation recognizes programs that engage in a variety of activities that help to extend CAHME’s mission of advancing the quality of graduate health care management education by providing opportunities to other students and other programs to advance their own experiences and skills for the good of the entire health care field. Scranton’s MHA program was recognized for its participation as a mentor for global programs as part of CAHME’s Global Accreditation Initiative. “We think about our community globally, not just locally. 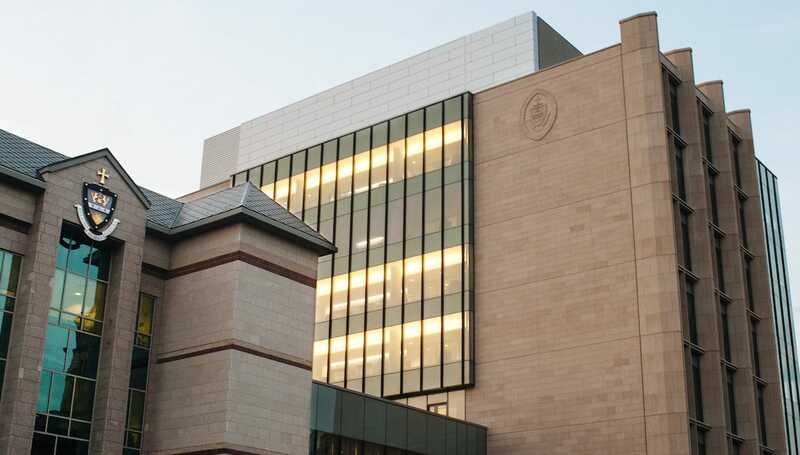 That’s why we have projects in several countries around the world and why we partner with other universities,” said Daniel West, Ph.D., professor and chair of the Department of Health Administration and Human Resources at The University of Scranton. The University’s Health Administration program has worked with numerous educational and health care institutions across the globe including The University of Georgia, Tbilisi, Georgia; Trnava University, Slovak Republic; and St. Elizabeth College of Health and Social Work in Bratislava, Slovakia, in addition to offering service opportunities for students in Mexico and Kenya. Earlier this year, the University won the CAHME/Canon Solutions America Award for Sustainability in Healthcare Management Education and Practice, which recognizes universities that are committed to pushing public health forward through diverse sustainability-driven activities with proven results. The University’s MHA curriculum includes a “Fit for the Profession” component to ensure readiness for profession, in addition to projects that cover global, environmental, financial and social sustainable issues and involve developing and implementing a sustainability project in an applied health care setting.